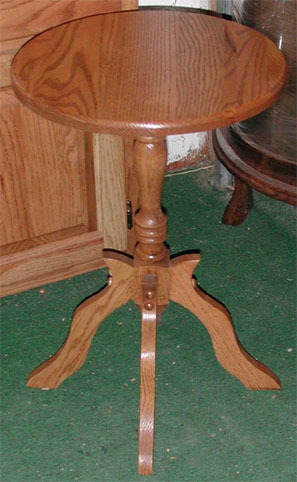 Just imagine how this beautiful solid oak plant stand would look in your living room, den or bedroom. Remember when grandma used to have plant stands like these? All you need is a nice white doily in the center and a plant or flower arrangement to make it complete! Affordably priced so you can place them all over your home. Sturdily built out of solid oak, so you won’t have to worry about it falling apart like the cheap department store versions! Will last for years - great heirloom to pass on to the children.